Mettler ST20A Sample Changer Titration Accessory Management . New Life Scientific, Inc. The Mettler Toledo ST20A sample changer is a titrator accessory that was developed to increase efficiency and sample management. 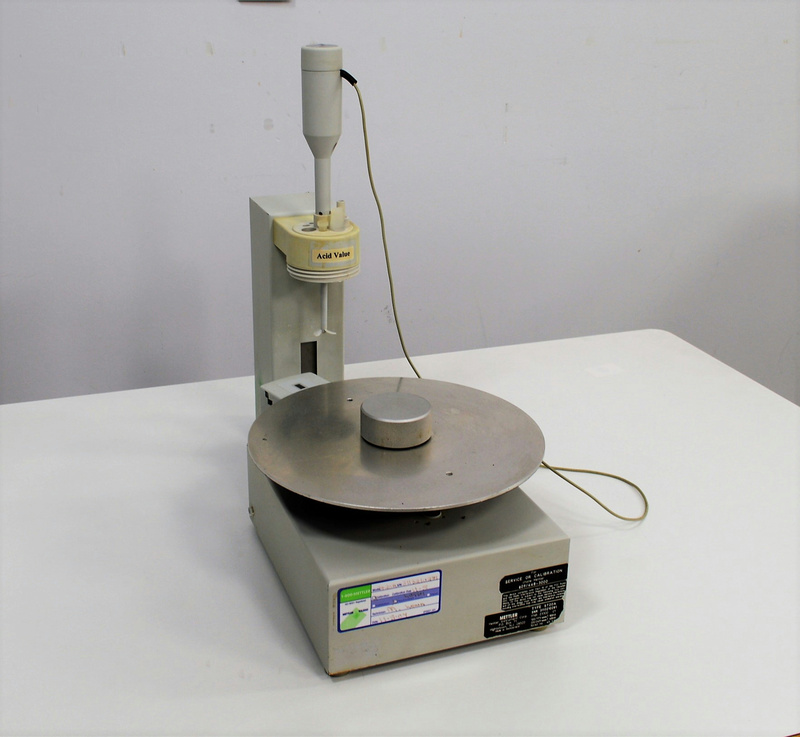 This product was discontinued by Mettler, but was designed to work with the DL77 titrator. This sample carousel system is in fair cosmetic condition and is incomplete. There are obvious signs of wear and age, but the lack components and impact the ability to use this instrument. This product was powered on and the carousel initilaized and 'homed.' No further testing was performed and the technicians. The carousel tray and the one of the impellers for the conditioning wand is missing.